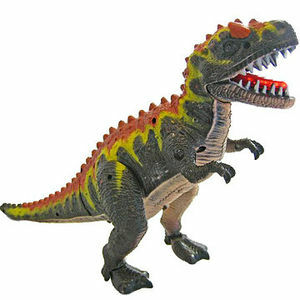 The surface paint on the toy dinosaurs can contain excessive levels of lead. Xtreme Toy Zone's Web site from May 2008 through October 2008 for between $15 and $20. Immediately take the recalled toys away from children and contact Xtreme Toy Zone for a refund or exchange. For additional information, contact Xtreme Toy Zone collect at (213) 237-9983 between 9 a.m. and 5 p.m. PT Monday through Friday, or visit their Web site at www.xtremetoyzone.com.